This is part one of two. Next time I’ll cover how to craft the perfect cold email to investors. For entrepreneurs, raising capital from external investors for first time can be incredibly challenging and frustrating. And I get it. Competition for capital is fierce. 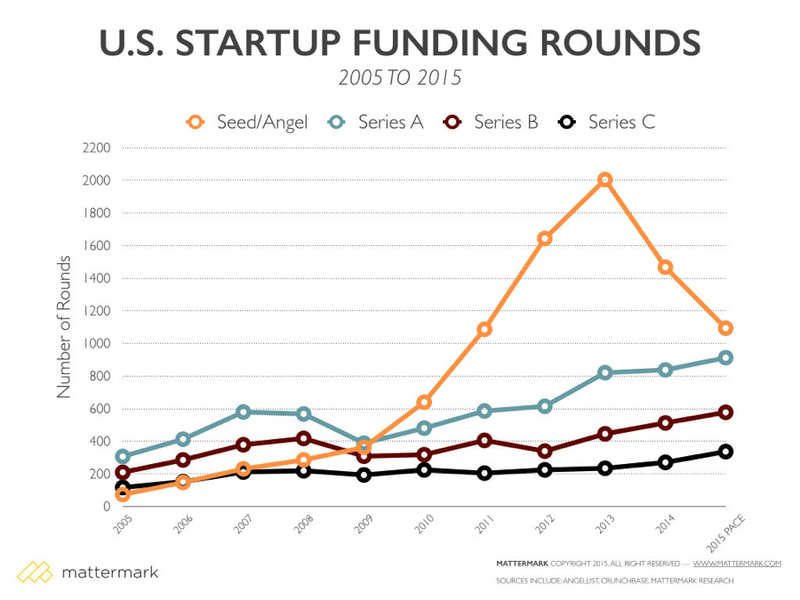 Seed rounds are up 2.5X from 5 years ago, and there are more startups than ever vying for investor attention. Far too often however, I see entrepreneurs repeatedly make simple and avoidable mistakes. One of the most common mistakes, but most easily correctable, is not knowing how to effectively approach or get introduced to sophisticated venture or angel investors. One of the things that founders often lament is the fact that investors publicly say that are unlikely to invest in a deal that doesn’t come from a trusted referral source. 1/ Time remains the most precious resource for investors, and referrals provide the necessary filter to separate noise from signal. Reasonably, the people that know you best will send you the deals they know fit your “type”. 2/ With so much information publicly available about investors and their connections, every entrepreneur should be within a single degree of almost any investor. If you can’t get a mutual contact to refer you, my visceral reaction as an investor will be a) you were too lazy to find a mutual contact or b) none of our mutual contacts were willing to endorse you to me. Neither is a positive signal, even if it may be nothing more than perception. 3/ Getting a cold email typically translates to “I’m getting an email from someone that’s doing this for the first time”. Most investors prefer to invest in repeat entrepreneurs, who have the networks to enable warm introductions. With that said, I realize that’s not a profound statement to say that warm intros are almost a must, but I do want to cover the “how” of effectively asking for an investor intro from a mutual contact. Hope you’re well. Not sure if we have discussed, but I have launched a new software platform focused on digital currency management. Trust me, unless you’re a relative or have compromising pictures of me, you’re not going to get a response back. I’ve gotten 10+ of these types of emails in the last month (I’ll admit, this post was partly inspired by an inner mini-rant). The email above demonstrates that you’ve done zero homework, and even worse are showing no respect for my time or my introduction capital. Don’t do this. Anyone that has a true trusted relationship with investors will never make intros based on this type of ask. I certainly wouldn’t. Instead, be strategic in your ask and I guarantee you’ll have better success. Oh, and while this might be obvious, let me stress that the mutual contact you’re reaching out to be someone you really know, not someone you connected on LinkedIn 5 years ago after you met them at a conference. Here is an example of a great email asking a mutual contact for an investor introduction. I hope you’re doing well! I wanted to reach out to you to give you a quick update. As I may have mentioned before, I recently launched an ecommerce platform focused around tailored clothing for fitness enthusiasts. Since launching in March, we’ve sold over $900K, and our users have increase 70% MoM. We raised a small angel round in January, and are now looking to raise $2.0MM to help support our growth as we’re confident we’ve reached early signs of true product-market fit. It’s important for us to have the right investors, and in our research we noticed that Forerunner Ventures, which has invested in Warby Parker and Bonobos, might be a very good fit. Also, having read online extensively about their approach, I believe the size of our raise and our current traction aligns well with their investment thesis. I noticed you are connected with both Kirsten and Eurie, and it looks like Forerunner is a client of yours from the recent FRB client logo sheet. Would you be comfortable with facilitating an intro (or at least providing me with some insight on how I should approach them)? I’m attaching my executive summary, and happy to meet to give you more details live. This is 100X better. It’s personalized, demonstrates that you’ve been thoughtful and done your research, and provides the necessary information for me to determine fit. It also allows the opportunity for me to help in other ways should I not feel like I can make an introduction for whatever reason. It’s easy. Invest the time when asking for intros. Next time I’ll cover how to email investors in cases where it’s just necessary to send a cold email.